"We were terrible at the start. We could not write even a melody line, the sound was just rubbish...Even now I blush to think of it." 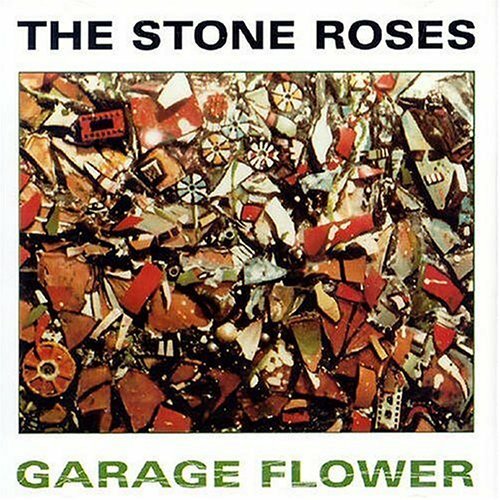 In January 1985, The Stone Roses went into Spirit Studios, Manchester, to record a demo, produced by Tim Oliver; tracks recorded included 'Tradjic Roundabout', 'Misery Dictionary' (later entitled 'So Young'), 'Mission Impossible' and 'Self Respect' (later entitled 'Just A Little Bit'). Here, Howard Jones, who would soon become Stone Roses manager, saw them for the first time. Spirit Studios became a central point for Manchester's music scene in 1980s, providing rehearsal and recording space for many Mancunian bands: The Stone Roses, The Smiths, Happy Mondays and The Fall. 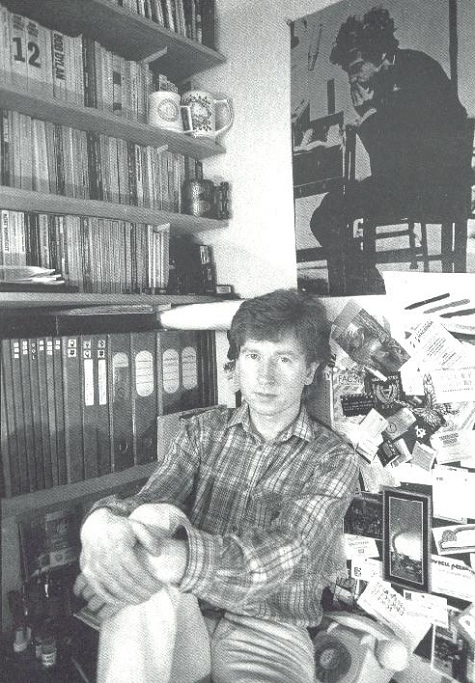 Founder of the studios, John Breakell, was instrumental in giving The Stone Roses free studio time in Spirit Studios when money was tight for them, and gave them the springboard to launch their recording career. Brown recalls that "Spirit Studios were the greatest recording and rehearsal rooms in the country", adding that a lot of "important people got together down there." When it closed after 21 years, Reni commented, "I will miss Spirit. Just knowing it's gone feels like losing a tooth – a tooth used when smiling !" (source: BBC website, 2006). I spoke to Ian Hu, a representative of Spirit Studios, about The Stone Roses. He informed me that the band had little money to pay their way; on one occasion, unable to pay their studio bill, The Stone Roses broke into the studio in Tariff Street one night and recorded a secret demo. When John, Spirit's original Managing Director, came in the next morning and found them there, the Roses left him a copy of the tape as payment. They said, "We will be famous one day and this tape will be worth a fortune." Around the time of The Stone Roses' appearance on 'The Best of Manchester Show', put together by Mark Radcliffe and Tony Michaelides at London Dingwalls (08/02/85), Thin Line were waiting for Jones to find the right band for them; Jones knew that the Roses were that band. The Stone Roses were duly booked in to Yellow 2, Strawberry Recording Studios, Stockport in March 1985, for various tracks with Martin Hannett, including the So Young/Tell Me release. In these sessions, Hannett was fuelled on Guinness and amphetamine, plus pain killers for a raging tooth ache he had at the time. On one occasion, the band caught him snorting cocaine off the 'There's No-one Quite Like Grandma' gold disc. He would not allow the band in the control room for the mix; instead, they had to stay in the games room until he had finished. As a ploy to keep the band out of his way, Hannett would have the air conditioning set at such a cold level that you had to wear a coat if you did go into the control room. By now, Howard Jones' other role as head of the band's label, Thin Line, was becoming a major bone of contention, and in January 1986, the Roses asked Howard to fold Thin Line in order to concentrate on managing them. He decided to decline the Roses' request. The Stone Roses realised that they would have to share the spotlight with a number of other bands managed by Howard - for example, The Railway Children - and were unhappy. The situation turned into that of a legal dispute, with the Roses saying that they hadn't agreed to an album because they had no contract. Jones argued that five months in the studio together with verbal agreements, gave his label the rights. 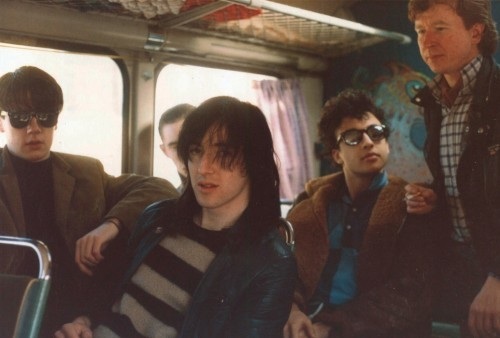 Mixing of their early Hannett produced material had finished in December 1985, and the Roses acquiesced to its release only if it was on a major company, and thus Howard duly set about trying to place it with a few companies. The head of A & R Records came to Manchester to sign them only to find they had signed to FM Revolver that afternoon. This is where Gareth Evans enters the story of The Stone Roses, signing a management deal with the band. 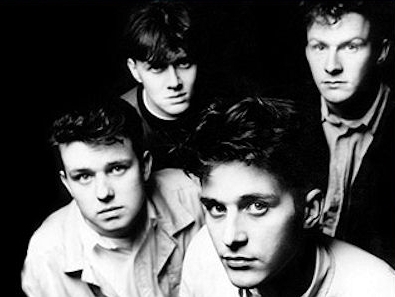 With Thin Line going bust, the album's worth of material from the Garage Flower era was fortunately not released as the band's first album (Gareth tried to buy the material off Howard on more than one occasion, without success), allowing the band to work on what would become their defining 1989 debut. The Stone Roses responded to an ad placed by Evans in the International, asking for new bands to manage. Rather than send a tape, the band decided to present themselves in person at the club, requesting a meeting with Evans. Ever the showman, Evans 'accidentally' dropped a wad of cash at the band's feet, who were suitably impressed to sign a management contract with him two weeks later. 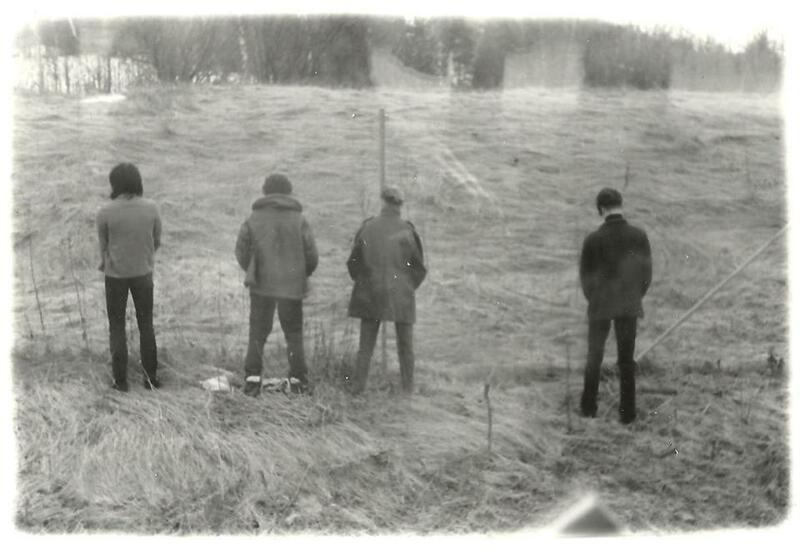 The band were now able to rehearse for free at the International, rather than in the basement at Spirit, but were locked in to a contract that gave Evans control of the band for ten years. Top two rows: The Stone Roses tour Sweden in 1985. More photos of this tour with Toxin Toy can be viewed here, here and here. Third row (left): The Stone Roses' first manager, Howard Jones. Third row (right): Howard Jones with The Stone Roses in Sweden. 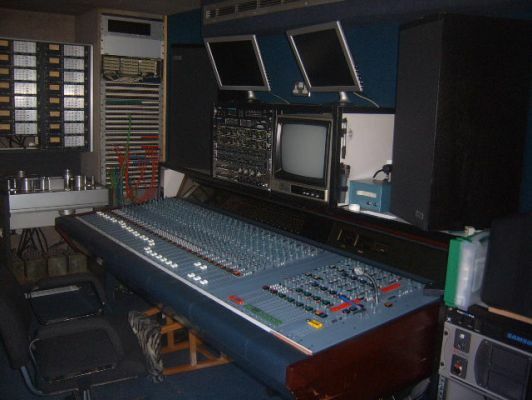 Fourth row (left): Spirit Studios, Manchester. Fourth row (right): The Railway Children. 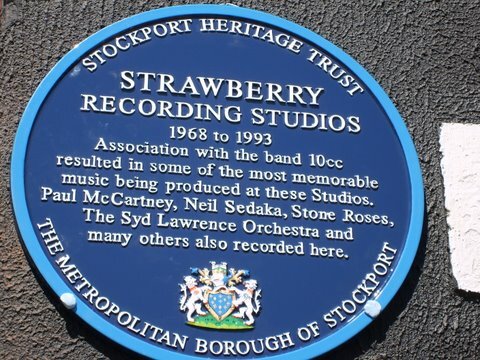 Bottom left: Plaque at Strawberry Recording Studios, Stockport. 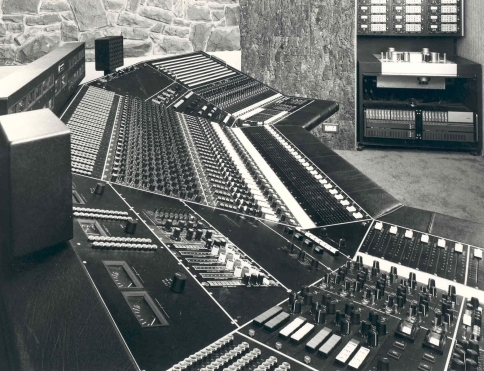 Bottom right: The Formula Sound Desk at Strawberry Recording Studios. 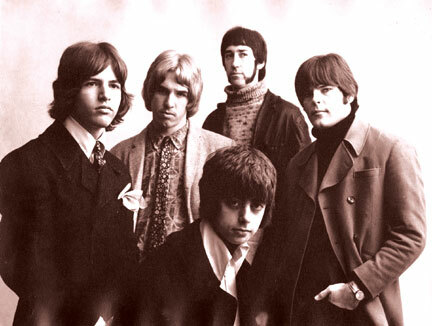 Left: The Misunderstood were influential pioneers of psychedelic rock, originating from Riverside, California. Commercial success for the band seemed likely, until the group was suddenly forced to disband when lead singer and songwriter, Rick Brown, was drafted into the Vietnam war.